with everything we're looking at: pandemics, mass vaccinations, economic collapse, cyberwars, birthers & the threat of homegrown errorism - the amount of massive military drills currently running are made all the more disturbing. 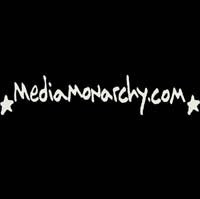 for this special interview episode from media monarchy, we talk to former marine corp major william b fox from ghost troop about these current military exercises: national level exercise '09 & vibrant response. in this wide-ranging 90min interview, we use the terror drills as a backdrop for the bigger picture: the US has been hijacked by foreign interests & globalist elites who are pulling the rug out from under US. put simply, a drill is a practice run and the private military & shadow govt are practicing to take over our cities. only by spreading this information can we hope to determine our own destiny on a grassroots level. 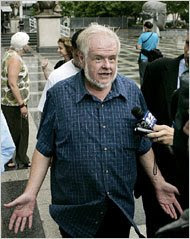 from kurt nimmo: In a lame attempt to save his hide and stay out of prison for allegedly threatening to kill federal judges, the racist talk show host Hal Turner has admitted in court that he is an FBI informant, the Chicago Breaking News Center reports today. Alex Jones and others have argued for some time that the white supremacist from North Bergen, New Jersey, is an FBI informant. Assistant U.S. Atty. William Hogan tried to dismiss Turner’s admission. “Hogan said Turner may have had some contact with the FBI as an informant but that it was quite some time ago,” reports Jeff Coen. Recent evidence, however, reveals that Turner has continued his relationship with the feds. Documentation emerged in 2008 exposing Turner as an FBI operative. “Hal Turner, rising in fame as the most blatant hate talk radio host, self-proclaimed neo-nazi, antisemite, racist who hinted at the need to eradicate Jews — turns out to have been fronting a typical FBI COINTELPRO sting operation,” writes Richard Evans. Hackers managed to gain access to his forum server and revealed correspondence with an FBI agent who was apparently Turner’s handler. As documented by Brian Glick and others, under COINTELPRO, the FBI subsidized, armed, directed and protected the Klu Klux Klan and other racist groups, including the “Secret Army Organization” of California. The FBI is notorious for unleashing informants and provocateurs. In 2008, it was discovered that informants working for the FBI were at the center of a supposed terror plot aimed at the Fort Dix Army base in New Jersey. One of the of the informants received nearly $240,000 in taxpayer money for his role in the operation. In 2007, the FBI was caught manipulating seven impoverished residents of Liberty City, Florida, attempting to get them to blow up the Sears tower in Chicago. As it turns out, the supposed terror plot and the principal source of resources for the group came in the form of an FBI informant posing as an “Al Qaeda representative.” The two informants — Abbas al-Saidi and Elie Assad — earned over $130,000 for their services to the FBI. Earlier this year, the FBI lured a gang of pathetic would-be terrorists in New York with “piles of cash and gifts and even bags of weed,” according to the New York Post. The men were later charged with plotting to blow up synagogues and military jets. Other incidents of FBI agents provocateurs attempting to get people to engage in violent and illegal acts are legendary. The McDavid case, for instance, received attention in 2006. “In January 2006, Eric McDavid, Lauren Weiner, and Zachary Jenson were arrested in California and charged with knowingly conspiring to use fire or explosives to damage property,” writes Jennifer Van Bergen for Raw Story. It was later revealed that a paid FBI confidential informant named “Anna” had not only infiltrated peace and justice rallies and anarchist meetings, but had acted as a provocateur in the McDavid case. “McDavid’s attorney, Mark Reichel, states that Anna was always pushing McDavid to do something criminal, taught the three how to make the bombs, supervised their activities, and repeatedly threatened to leave them if they didn’t start doing ’something,’” Van Bergen writes. Considering this blatant history of FBI provocation, it is entirely possible that Hal Turner was encouraged by the agency to issue threats against federal judges. 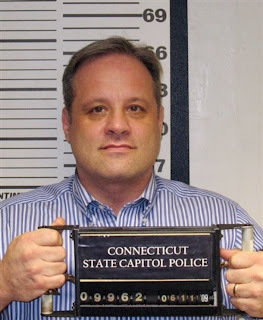 Turner was arrested on June 3, 2009, for issuing threats against two politicians in Connecticut and a state ethics official. He was re-arrested on June 24 and charged with issuing threats against judges of the United States Court of Appeals in Chicago. 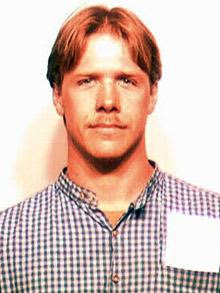 It is no mistake the federal authorities arrested Turner at approximately the same time the Department of Homeland Security was coming under fire for its now infamous “rightwing extremism” report that specifically warns about violence on the part of white supremacists who are conveniently connected by the government to returning veterans, defenders of the Second Amendment, pro-life activists, and patriot groups. It is common knowledge the FBI collaborated with Morris Dees’ Southern Poverty Law Center in a joint effort to create violent white supremacist groups where none existed before. A declassified FBI memo reveals that the SPLC had informants at Elohim City on the eve of the Oklahoma City bombing. “If I told you what we were doing there, I would have to kill you,” Dees said during a press conference. Hal Turner, by his own courtroom admission, is a classic government patsy burned by the people he attempted to collaborate with. He will likely have a lot of time to think about the stupidity of his actions in federal prison. from nytimes: A veteran New Jersey political consultant who was among dozens arrested in a huge corruption sweep last week was found dead in his Jersey City apartment on Tuesday, the same day that one of three mayors charged in the case resigned. The circumstances surrounding the death of the consultant, Jack M. Shaw, are “suspicious,” said Edward J. DeFazio, the Hudson County prosecutor. He said it did not appear to be a homicide. “It could be natural, it could be accidental, it could be suicide,” he said, refusing to elaborate. An autopsy is set for Wednesday. His death, reported by a companion to the authorities at 5:17 p.m., came hours after Dennis Elwell, the mayor of Secaucus, stepped down, becoming the first elected official to quit after being charged in the sprawling political corruption case. from wsj: Even by New Jersey standards, Thursday’s roundup of three mayors, five rabbis and 36 others on charges of money laundering and public corruption was big. But what put this FBI dragnet head and shoulders above the rest are the charges of trafficking in human body parts. According to a federal criminal complaint filed in district court in New Jersey, Levy Izhak Rosenbaum of Brooklyn conspired to broker the sale of a human kidney for a transplant. The cost was $160,000 to the recipient of the transplant, of which the donor got $10,000. According to the complaint, Mr. Rosenbaum said he had brokered such sales many times over the past 10 years. “That it could happen in this country is so shocking,” said Dr. Bernadine Healy, former head of the Red Cross. No, it isn’t. When I needed a kidney several years ago and had no donor in sight, I would have considered doing business with someone like Mr. Rosenbaum. The current law — the National Organ Transplant Act of 1984 — gave me little choice. I would be a felon if I compensated a donor who was willing to spare me years of life-draining dialysis and premature death. from army news service: Consequence-management response forces, or CCMRF, are staging a training exercise beginning July 31 to prepare for potential domestic disasters capable of injuring or killing several thousand civilians. The exercise will involve about 400 to 500 people at Fort Leavenworth, Kan. The two divisions will each train one week, in succession with one another. Each CCMRF unit contains three task forces - medical, operations and aviation, in addition to smaller elements with specific technical expertise. The Operation Task Force 2/18 MEB from South Carolina, Medical Task Force 3/30 MEB from Illinois, and Aviation Task Force 11 from Kentucky will all participate in the exercise. from ap: President Barack Obama concedes his words — that a white police officer "acted stupidly" when he arrested a black university scholar in his own home — were ill-chosen. But, while he invited both men to visit him at the White House, Obama stopped short of publicly apologizing for his remark. The president personally telephoned the two men, Harvard professor Henry Louis Gates Jr. and Cambridge, Mass., police Sgt. James Crowley, in an effort to end the rancorous back-and-forth over what had transpired and what Obama had said about it. Trying to lighten the situation, he even commiserated with Crowley about reporters on his lawn. from infowars: The New York Times claims the Obama birth certificate issue is “a rumor that has been widely discredited,” and yet the state of Hawaii, where Obama was allegedly born, refuses to release the primary birth certificate document, instead offering this image, declared to be a Photoshop fake. It is an obvious fake for the following reasons: 1) the document does not have a raised, embossed seal 2) it is not signed (take a look at your birth certificate and see if it has the signature of a physician or hospital officials) 3) there are no creases from folding in the scanned version above 4) the certificate number is redacted 5) the document claims to be a “certification of birth,” not a “certificate of birth,” and 6) the date supposedly bleeding through the back of the document says 2007, not 2008, when it was allegedly released. 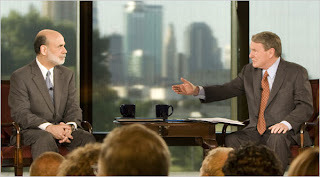 Annenberg is a less than credible source considering Obama was chairman of the Annenberg Challenge in Chicago. One of his cohorts in that position was none other than the terrorist Bill Ayers. Instead of releasing the original document, the Obama administration trots out White House press secretary Robert Gibbs to make sarcastic comments about those crazy birthers. Gibbs’ comments reveal the Obama administration and his supporters are sincerely worried about the issue. from brasschecktv: Why it is possible for part-time researchers to scoop the New York Times over and over again? Because the Times is not a news source. It's a disinformation bureau and they have other things in their minds. Their current project: Erasing public memory of the fact that the US trained and armed the Taliban, the same people who are slaughtering our troops in Afghanistan right now. from nytimes: A shift in authority has given military officials at the White House a bigger operational role in creating a backup government if the nation’s capital were “decapitated” by a terrorist attack or other calamity, according to current and former officials involved in the decision. In our previous story on NLE 09, we noted that this exercise is a continuation of previous simulations under FEMA and the DHS that have involved the rounding-up and internment of American citizens labeled as “suspected terrorists”. 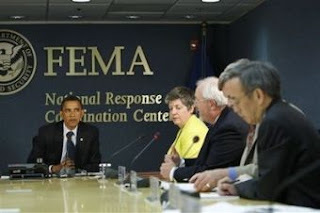 Under REX 84 and other operations, FEMA, in association with 34 other federal civil departments and agencies, has consistently trained to detain large numbers of Americans. We also noted that several recently leaked Department of Homeland Security, FBI, and local law enforcement documents have stated that the focus of security operations should be “rightwing extremists” who support the Second Amendment and states’ rights and oppose abortion and open borders. 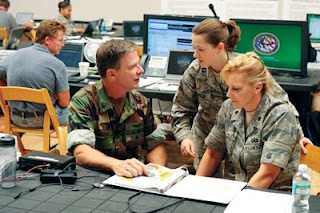 from capt eric h may: Dr. James Fetzer joins a group of officers and non-coms from Ghost Troop, the controversial cyber militia dedicated to thwarting 9/11-2B false flag attacks. Together they conduct a powerful analysis of the pending terror drill, NLE 09.
from cnn: A woman whose husband and two sons are accused of plotting violent jihad overseas said federal authorities tricked her into leaving her home so they could search it. Sabrina Boyd said Tuesday that the FBI sent a person the family knew to her door to say that her husband and three sons had been in a serious car accident. Her husband, Daniel Boyd, and two of the couple's sons are charged with supporting terrorism and conspiracy to commit murder abroad. The FBI declined to comment on the woman's allegation. A person wearing a shirt that appeared to be covered in blood told her that an 18-wheeler truck had sideswiped her husband and three sons, Sabrina Boyd said. 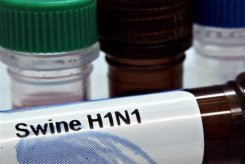 The person, whom she did not identify, told her "it was grave and they were bleeding, and I needed to be rushed immediately to Duke Hospital," she said. In 2007, Boyd's 16-year-old son, Luqman, was killed in a car crash. "I had already been through this two years prior," she said. She said authorities took her, her daughter and pregnant daughter-in-law to the hospital, where she learned that her husband and sons had not been in a car accident and were not injured. "When we got to the hospital, they brought us around back, separated us, handcuffed us, including my eight-month pregnant daughter[-in-law], and were very rude and then told us, 'They're not dying; they're detained. And you better cooperate with us.'" She added, "They used the death of my son to trick me into getting out of my own house so they could just serve a warrant with nobody there." from ellis county observer: The Federal Emergency Management Agency's reports of how to mitigate potential civil uprisings and disasters have sections dealing with the mass relocation and confinement of citizen populations: except in Palmer, a city 20 miles south of Dallas. The City of Palmer and the Palmer Police Dept., according to a former reporter for conservative weekly The Ellis County Press who requested the FEMA documents for three months, have the federal plans but the section instituting population relocations came up missing. "I have already talked to [Palmer PD Chief Mike Zaidle] about FEMA in Palmer the section of the emergency management plan regarding moving people into camps is totally gone from the 3 inch binder," said Brandy Owen, the former reporter who penned a series of articles on the Trans Texas Corridor last year. "There is a chapter or [section in] it but the section is gone from the plan. 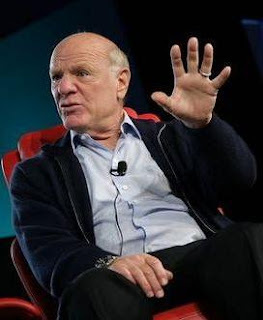 from bloomberg: Barry Diller, chairman and chief executive officer of IAC/InterActiveCorp, said Web users will have to pay for what they watch and use, joining the refrain of media moguls who say an era of free Internet content is ending. The media and technology executive, whose company runs the Ask.com search engine and the Match.com dating service, said it’s “mythology” to view the Internet as a system of free communications. “It is not free, and is not going to be,” Diller said today at the Fortune Brainstorm conference in Pasadena, California. In addition to IAC, he is chairman of Expedia Inc., the online travel service, and Ticketmaster Entertainment Inc. Diller, 67, joined a group of media chiefs, from Liberty Media Corp.’s John Malone to Walt Disney Co. CEO Robert Iger, who are challenging the accepted model that consumers pay for Internet access and then content is free. Diller predicted there will be three revenue streams: advertising, subscriptions and transactions. Disney, the world’s biggest media company, is developing a subscription-based product for the Internet, Iger said on July 22 at the conference. The Burbank, California-based company has opportunities to increase sales from the Web, Iger said. Online advertising can be improved, and marketers can target consumers by tracking their activities and interests. Subscription products are particularly promising to the company. from ap: Mike Bonanno and Andy Bichlbaum, aka 'The Yes Men,' play pranks on big business to highlight the human toll of unchecked capitalism. A film about their recent stunts debuts Monday on HBO.